Lance Borst is a 15-year veteran in the field side of the construction business. 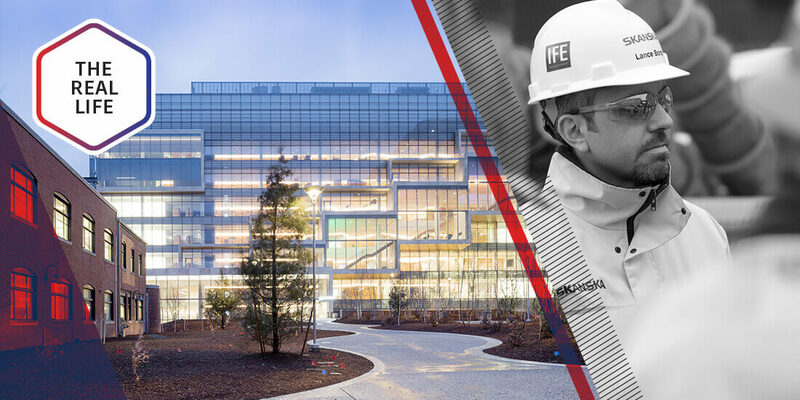 As a construction superintendent at Skanska, his primary job is pushing the schedule while maintaining safety, but he’s also a passionate champion of technology. 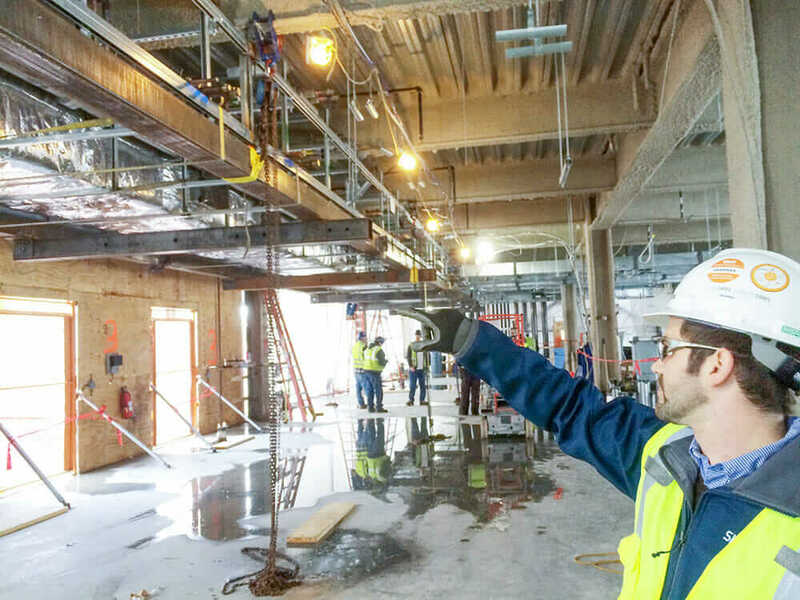 Borst started using Autodesk BIM 360 back in 2008 (before the product changed hands from Vela Systems to Autodesk) and is currently one of Skanska’s northeast regional superusers. On jobsites, he started out the old-school way: following an architect around with a laptop on a pushcart and typing outstanding issues into Microsoft Excel. These days, he always has his Apple iPad with him, and he’s skilled at showing his colleagues how they can also use them onsite. Here, Borst shares his experience as a construction superintendent, from pioneering technology to acting as an on-the-job therapist. 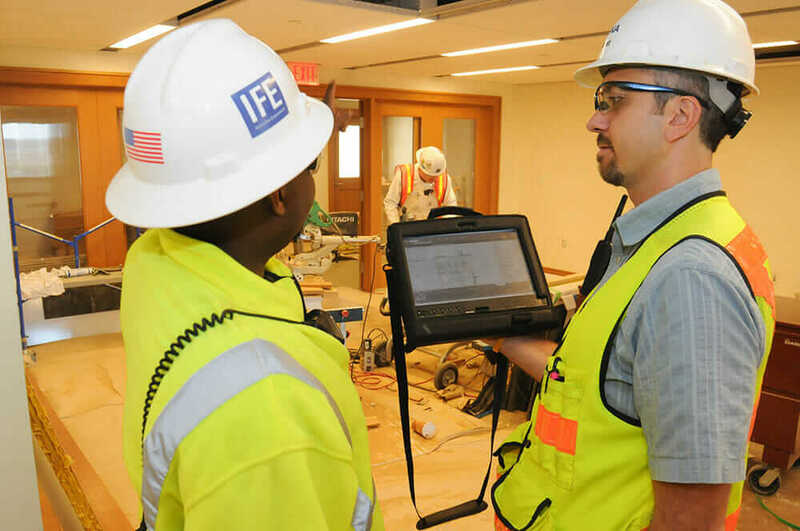 Lance Borst (right) and his team manage punch lists via tablet at the Novartis site in Cambridge, Massachusetts. Courtesy Skanska. How do people enter your line of work? Do you have family in the business? My father was an electrician, and I grew up a stone’s throw from Purdue University, so it was a no-brainer for me to go there. I was going to be a mechanical engineer, but as my freshman year progressed, I found out about their College of Technology, which had a building and construction management major. I went to a half-hour session where they give you a synopsis of the careers you can have if you go into this field. It struck me that, as an engineer, you’re going to be designing and working a lot in the office—thinking of things and solving problems on paper. 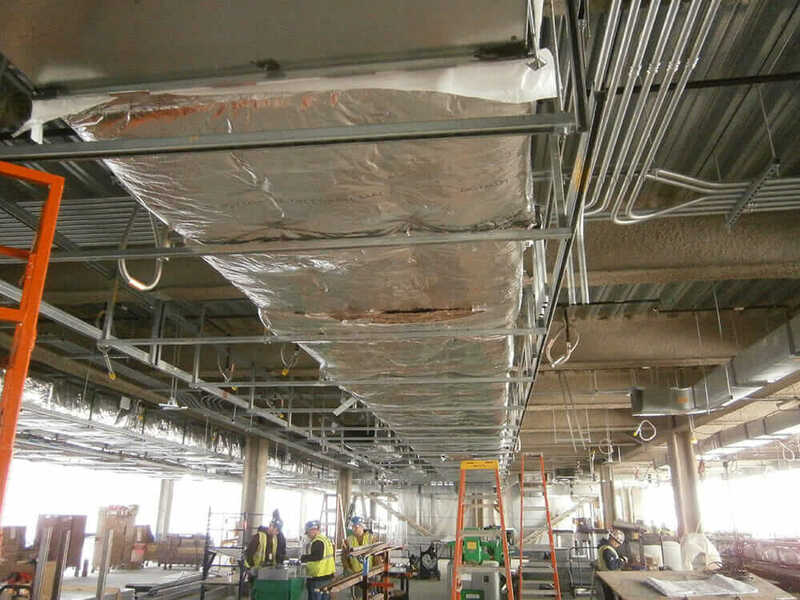 With construction management, you’re in the field touching, feeling, and putting all these parts and pieces together that the engineers come up with. I wanted to be the boots on the ground: the guy taking someone’s plan or idea and making it happen. These days, technology is increasingly used on jobsites to improve efficiency, but it’s still not exactly commonplace. As someone who is technologically minded, is that something you’d like to change? Yes. I’m a gen-Xer, and I’ve used an iPad onsite for about six years now. I prefer it to paper, especially with all the apps. I see a tremendous amount of technology being driven into the construction business, but getting it to the field is the hard part. 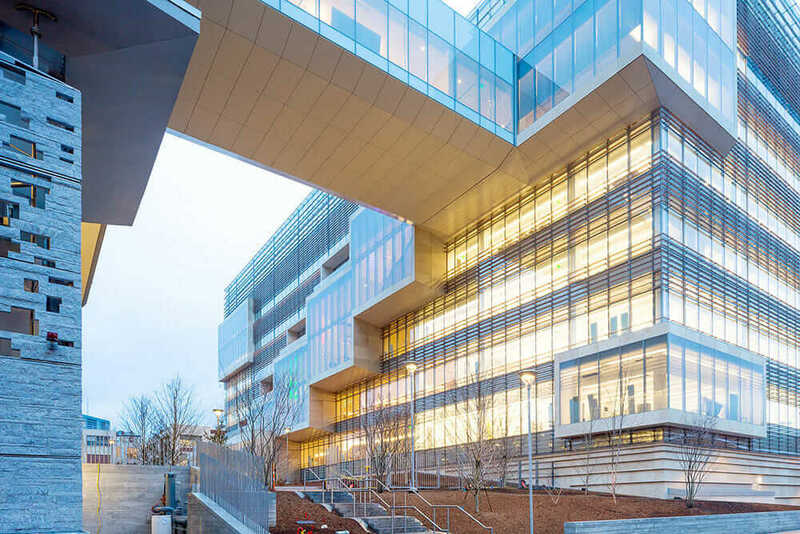 I just finished the Novartis Institute for Biomedical Research in Cambridge, Massachusetts—almost a five-year project, 795,000 square feet, over $600 million of work. One of the things we did was mandate that foremen have iPads and know how to use them. We’d give training to those folks and help them get up to speed. It was mainly for using BIM 360 Field, BIM 360 Glue, and some of our Skanska proprietary applications. A lot of seasoned foremen are baby boomers. They’re older, knowledgeable, and very skilled at what they do, but getting them to bring the new technology along was initially a struggle. That’s because you have to demonstrate the value of the technology at the individual level. 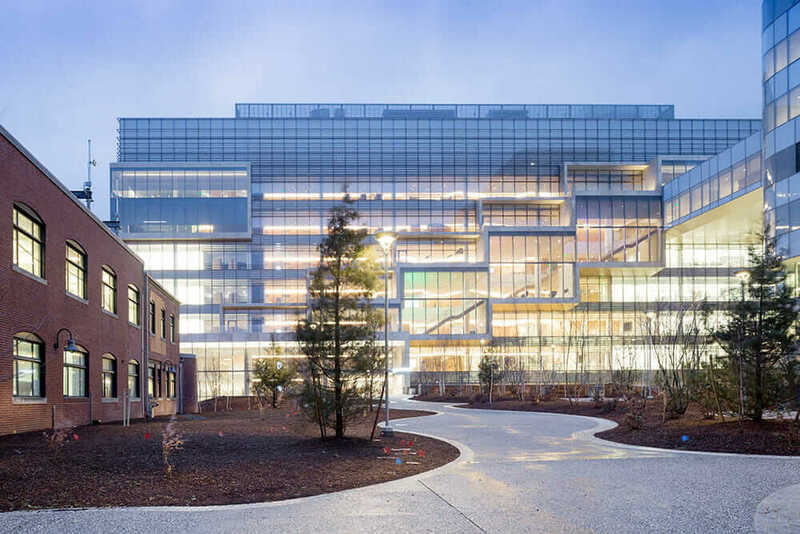 Lance Borst and his team managed 40-plus subcontractors, architects, and engineering firms on the Novartis site. Courtesy Skanska. Do you have a personal example of that struggle? One of the foremen at that job in Cambridge was an old-school guy, doing this for 30 years. His office bought him an iPad per the request, and he came to the site with it still in the box. It was the classic, “Hey, I have my iPad. I’m fulfilling my obligation.” So the first day, we sat down, and I said, “Today we’re going to take it out of the box and create an Apple ID.” It was just so comical because he didn’t even have an email address. But we just went through baby steps. I had him touch and feel the iPad and play solitaire just to tap the screen. It did take me about a month, but he started to use it daily. He’d always handwritten his daily reports and sent them to the office, but I got him to where he was doing his reports on his iPad, emailing them to his office, then sending them to his Air printer—he still wanted a paper copy of everything—but he eventually realized how much time it saved him. I just showed him there was value in it. You can’t treat everyone the same. It’s not always black and white. If you ever want to get out of the construction business, you could have a career at the Apple Genius Bar. 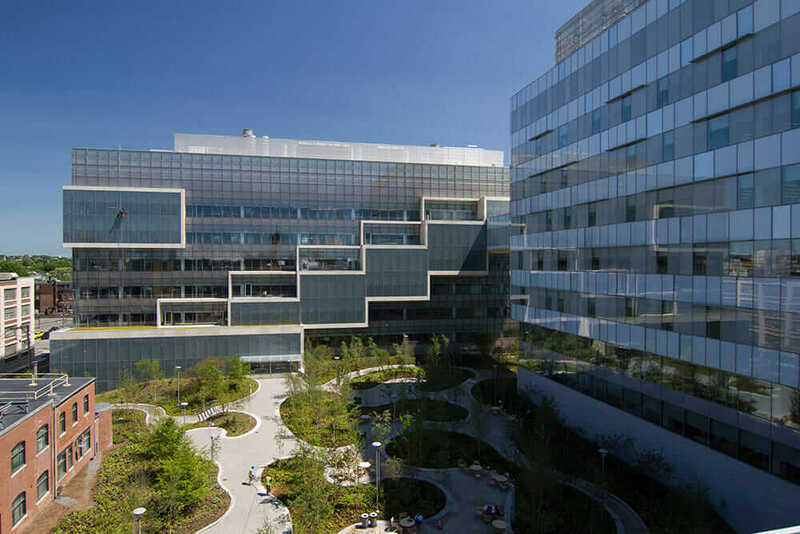 Onsite at Novartis, Skanksa received 600 assemblies from various shops and sequences onto the floors and merged into the above ceiling infrastructure. Courtesy Skanska. You have three kids and a demanding job—how do you stay on top of new innovations? I think it’s almost impossible to stay on top of the latest and greatest, but I have a network of folks within Skanska that I meet with monthly or bimonthly and just see where everybody’s at. I’m active on social media and follow a handful of people on Twitter to find out about new technologies. One of the great things about Skanska is that we have a large staff across many different regions, so we’re able to divide and conquer. If we see there’s new technology, not everybody has to try it at once. We can have isolated groups who try things, test them out, and compare them to our systems as a whole. What’s the hardest part about working with the various personalities on a construction site? Do you take a therapist’s approach to tap into them? You hit it on the head. My colleagues and I joke all the time that we are therapists. Everybody’s different, and I’m a firm believer that you can’t approach everybody the same way. You have to put yourself in their shoes and treat people with a tremendous amount of respect. Most people in construction automatically see management as an adversarial opponent. They think, “Why is this guy coming to talk to me? What did I do wrong?” You shouldn’t make it about that. I like to get to know the guys. After our safety orientation, we tell them, “If the guy’s name on his tag is Henry, ask him, ‘Do you go by Henry?’ ‘No, I actually go by Teddy.’” We try and do small things like that and make sure “Teddy” gets on his hard hat so if somebody is talking to Teddy, they don’t call him Henry. The construction industry is a small world; your reputation goes a long way. People may not have ever worked with you, but they’ve heard about you. Redshift’s “The Real Life” series reveals the trials, triumphs, and truths of being an architect, engineer, contractor, designer, or other creator/maker.